The official name of the country internationally known as Holland is the Kingdom of the Netherlands, or just the Netherlands. Bordered by Belgium to its south/south west side and Germany to its east and north, almost a third of the country’s boundary is coastline (around 450 kilometres). 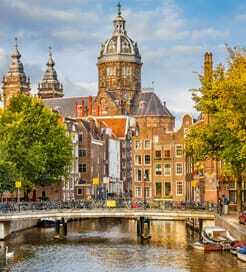 Amsterdam gets the headlines, but the Netherlands is so much more than just its capital city and features numerous impressive destinations to explore including Rotterdam, The Hague and Arnhem in the countryside as well as the medieval towns of Delft and Utrecht. If you looking to get to Holland by ferry then there’s a choice of crossings available from the UK, whether you are travelling with a vehicle or on foot. There are conveniently scheduled sailings from the south east and north east of England running year round and all sailings are operated by large, modern luxurious ferries. If you’re looking for more flexibility and a larger choice of sailings and at the same time don’t mind a longer drive then you can also take the ferry to France or Belgium and drive across to Holland. Taking the ferry to Holland also provides an ideal gateway for onward travel around northern Europe, especially for getting to countries with no direct connection from the UK such as Germany and Poland. Simple to use website, easy to select additional services, responsive email. 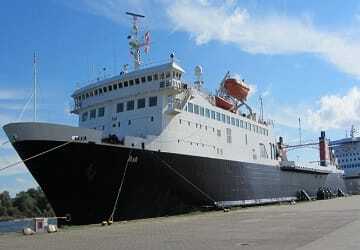 Ship loaded on time with staff positioned exactly where needed. Clean toilets and catering facilities. Well signed and decor good. Catering in club class OK but would have liked a hot roll with bacon or sausage instead of cold offer. Arrival on time and disembarkation excellent. I must say that Stena Lines service was excellent on our recent trip to Hook of Holland. The boarding process was easy and fast. The cabin was roomy and clean. Leaving the vessel in the morning was also speedy. I will travel another time with Stena Line. Thank you. Great experience...after years of dodging Stena after some poor trips we were surprised by how friendly and efficient the crew were especially the guy in charge of the premium lounge who did his best to make our journey comfortable.